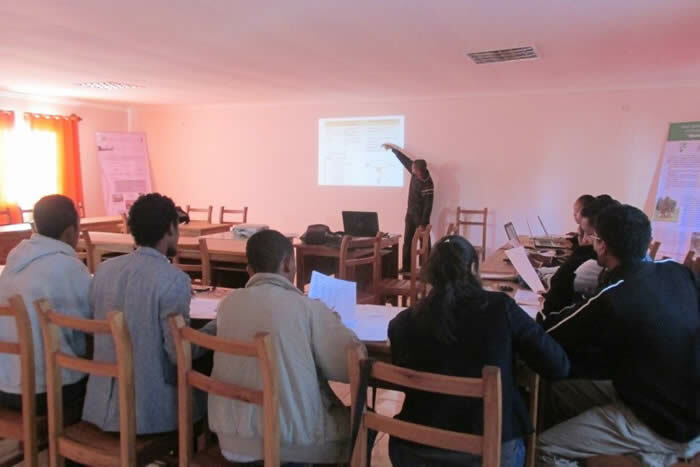 To prepare accurate and comprehensive quantification of carbon of the aerial and root biomass of trees, the carbon team conducted information sessions with local authorities, and field work on methodological refinement. We presented our activities and demonstrated our methodology for taking direct measurements of the root mass. These sessions brought together colleagues from Conservation International agents, Regional Directors of the Ministry of Environment, Ecology and Forestry (DREEF) from Alaotra Mangoro (which covers our field work areas ZOI1, ZOI2 & ZOI4) and Atsinanana (ZOI3). 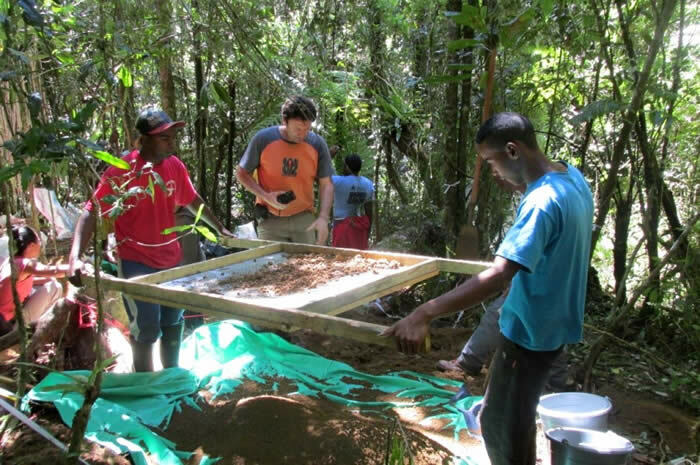 Our relationships with local communities are very important as they help us identify study sites with appropriate characteristics, and work with us to help with field sampling. 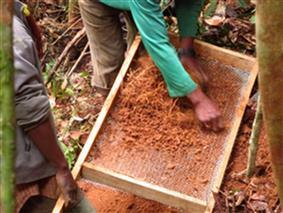 They also need to understand the research conducted to ensure they are willing for it to be completed on their land. 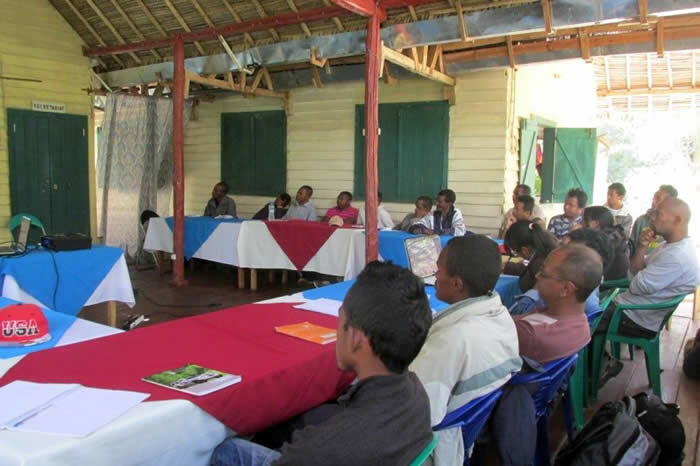 We organised an information session at Association Mitsinjo, with representatives from those organizations working in the field of conservation in the Andasibe area. The objective of this session was to go through our plans for the next root measuring fieldwork. 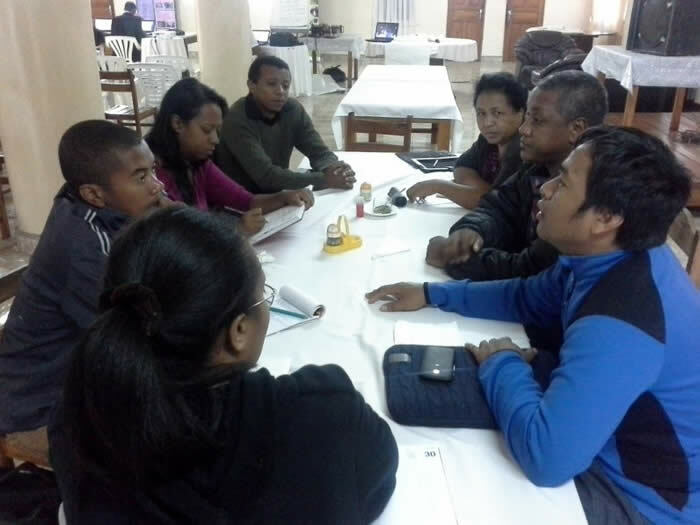 These meetings helped us all to understand the realities that protected area managers (Association Mitsinjo manage a conservation area) face in their work when they enable us to carry out our research. 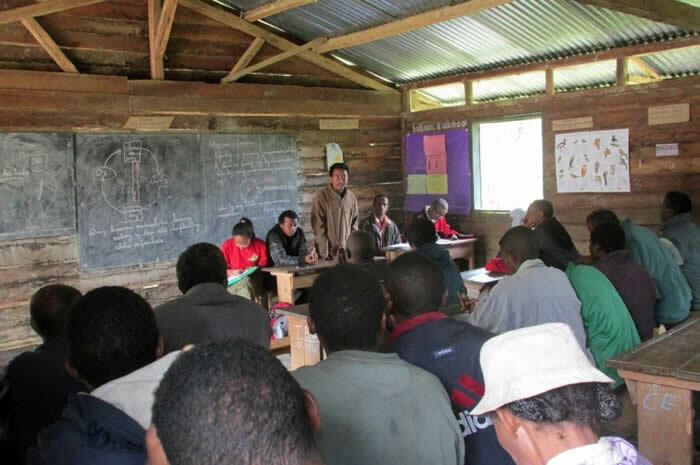 It was decided to conduct an awareness session with the local community in the areas surrounding our study sites (in Vohimana) to seek their collaboration and also to explain the potential benefits to their communities. The response was positive since the population and local dignitaries gave us permission to perform our study. There was lengthy preparation. 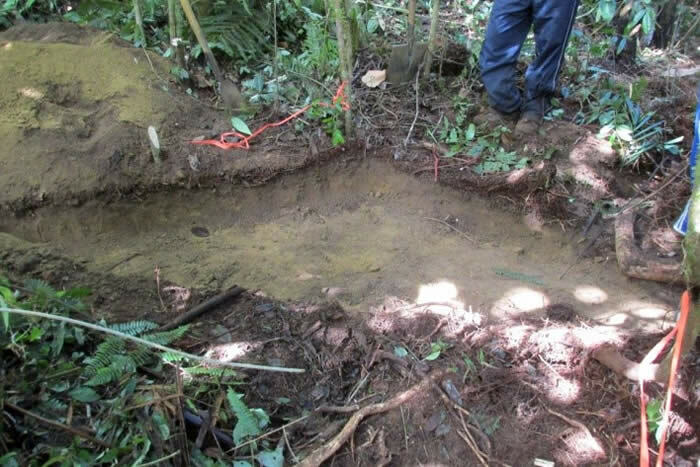 The team developed a methodology and new team members were added as there was work to be done at more than one site at the same time (for example taking samples at the same time in some sites of Andasibe (ZOI2) and conventional carbon inventories in Lakato area (ZOI1 ). A training session was also given. Finally all the preparation of materials, paperwork and planning began. 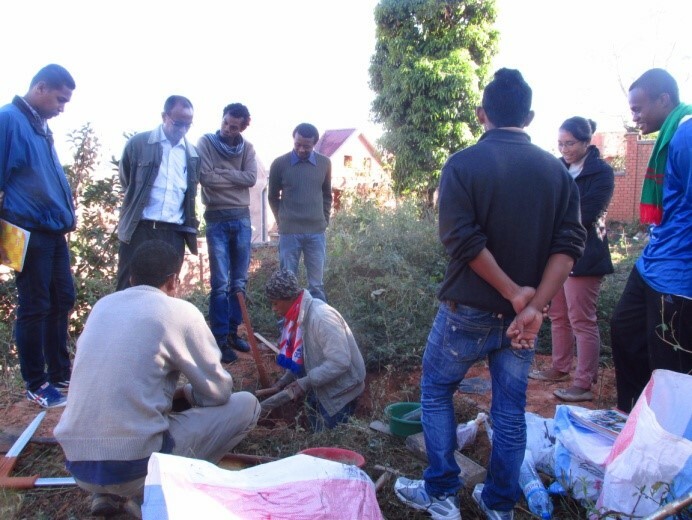 Following a stint in the field quantifying above ground biomass and carbon stock in the soil, the carbon team this time worked on quantification of the root compartment. 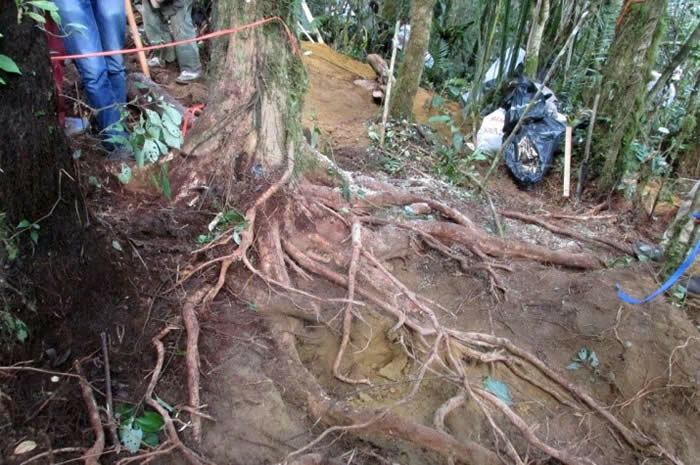 Although the project focuses on four types of soil uses, the study of root biomass by direct measurement will only be taken in forests for future campaigns. After preliminary studies carried out with the collaboration of CIRAD and INRA UMR Eco & Sols, we developed a methodology for quantifying the root and aboveground biomass by direct measurement. 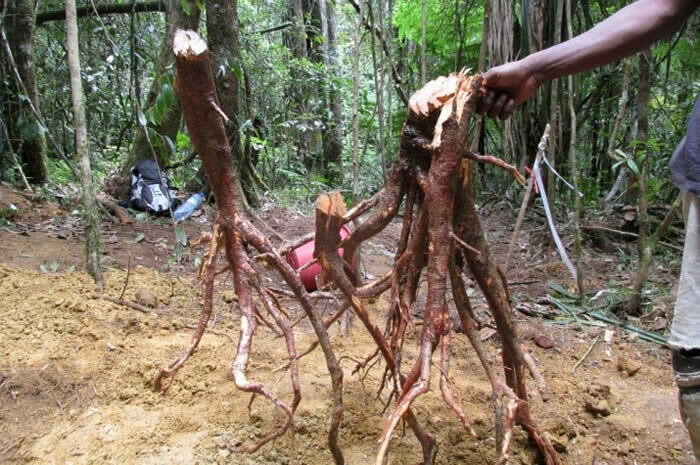 Due to the complexity of the forest ecosystem in the tropical environment, the methodology was tested for several days in April in one of the team’s biophysical study sites which is located in the area of Andasibe (Maromizaha). The carbon team carried out this test with a CIRAD expert in order to become familiar with the Voronoi polygon, a method used for the quantification of root biomass, as well as refining the methodology for more accurate data. This test has enabled the development of the methodology for future campaigns. 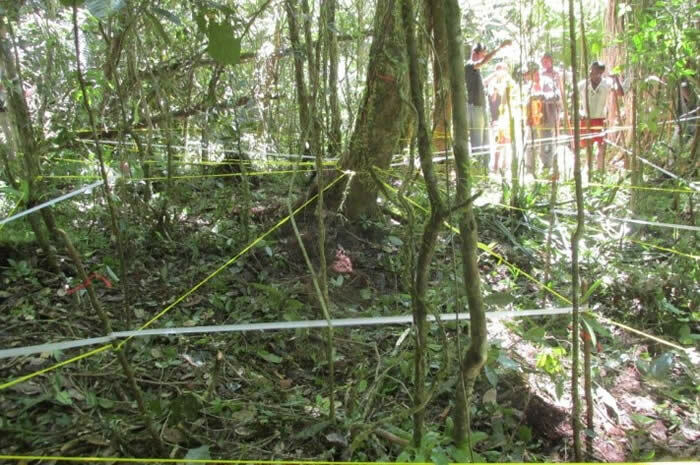 This methodology consists of taking samples from three different depths next to and around trees which have been previously selected.